Here's a dessert for breakfast you won't feel the least bit guilty about! This decadent-tasting, protein-rich meal will help keep you going all morning. 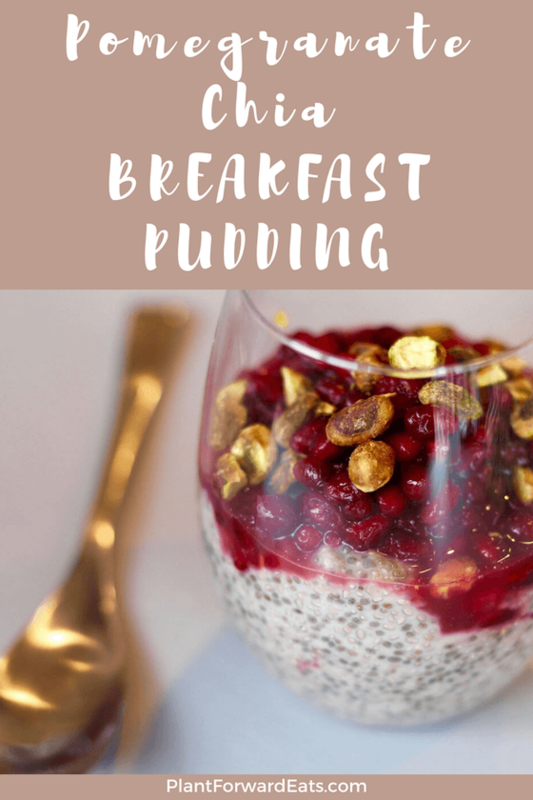 I started with a pretty basic chia pudding: I combined low-fat milk (you can also use an alternative milk, such as unsweetened almond milk) with chia seeds and vanilla extract. I let the mixture plump up in the fridge for about an hour before taking it to the next level. 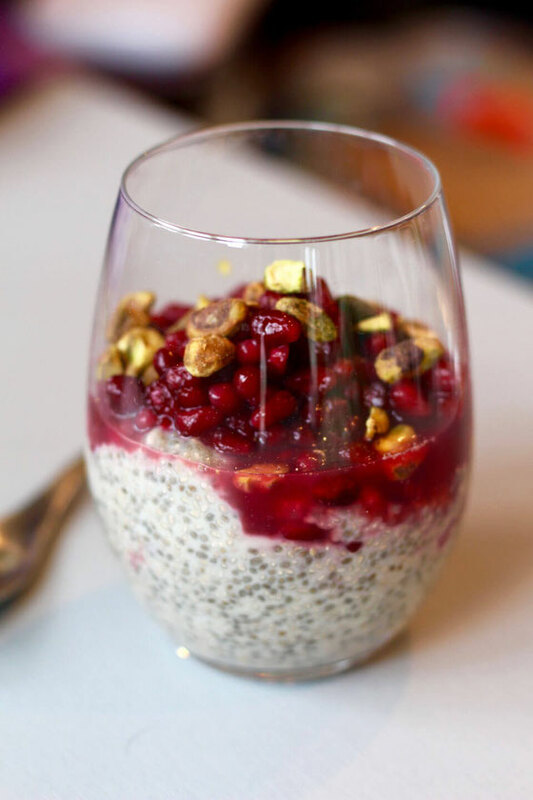 I then layered the chia pudding with pomegranate arils, as you'd do with a yogurt parfait. I topped my creation with crushed pistachios just before serving; the pomegranate arils and pistachios add a wonderful crunch! 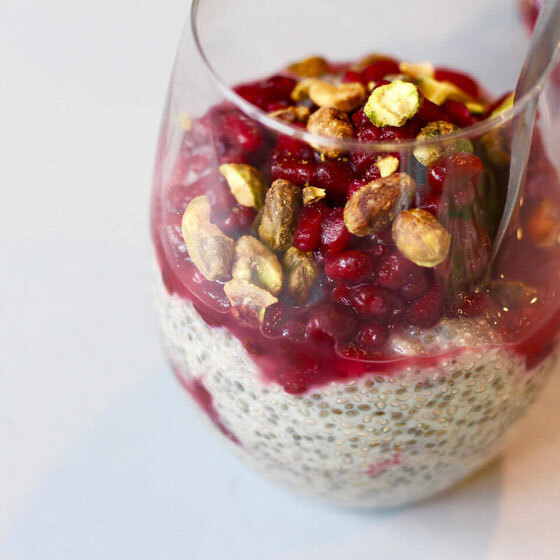 The chia seeds, pomegranates, and pistachios together provide an excellent amount of fiber—bringing this recipe to a grand total of 15 grams, or 60 percent of a your daily need. 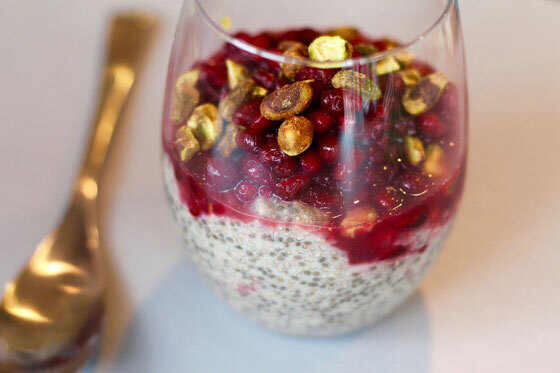 The pistachio chia pudding is also rich in protein, providing 14 grams, or 28 percent of the daily value. Looking for some more pistachio recipes? Try my Pistachio Milk and my Almond Pistachio Cocoa Bites. As for pomegranates, you can also eat pomegranate in French toast as well as in chocolate dessert cups. In a small bowl, combine chia seeds and milk. Cover, and refrigerate for 20 minutes to overnight. 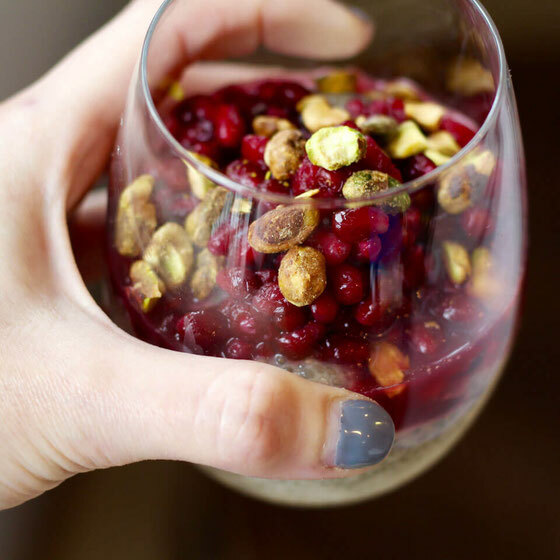 Stir, then layer in a glass with pomegranate arils just before serving. Top with pistachios. Serves 1. What are your thoughts on this topic? What's your favorite quick-prep healthy breakfast?